Healthy Children Official AAP parenting site. Great medical resources for parents. John Rosemond’s Traditional Parenting page. See his weekly column available on the website. Happiest Baby on the Block Great tips and resources to keep your baby happy, centered around the book of the same name. Touchpoints Books Essential guide for the parent of every infant or toddler. Tummy Time information for parents of babies. Special needs summer activities directory for 2011. AAP Symptom Checker American Academy of Pediatrics symptom checker. Zero to Three Development and growth of infants and toddlers. AACAP information about mental illness in children. ADHD information about Attention Deficit/Hyperactivity Disorder. Dr Reddy’s descriptions of common pediatric diseases. Dr. Sears’ Vaccine Book, and his main page. 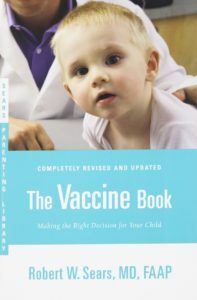 This book provides a balanced and detailed discussion of the pros and cons of various vaccines. Highly recommended for parents with questions about vaccinating their children. CDC Vaccine Home detailed information about vaccines and immunizations. Skin Cancer Foundation Site How to protect your children from sunburns and skin cancer (new). CDC Germ Stoppers practical tips to help prevent spreading colds and viruses. 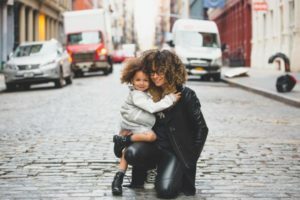 Keeping Your Kid’s Teeth Safe in Sports Parent’s guide to protecting your child’s teeth, as well as what to do in a dental emergency. Guide to Childhood Nutrition The importance of encouraging healthy eating habits from a young age.